I’ve never been a huge fan of Lambrusco, mainly because it can tend towards a cheap candy (think Cherry Chan) flavor profile. Having been exposed to other wine writers and lovers gushing about the sparkling red stuff, however, I’ve tried my best to keep an open mind and sample as many as I can. Perhaps that’s why I took a flyer on this bottle of (non-Lambrusco) frizzante red, just $12.99 at Wines from Italy (out of stock as of this writing). 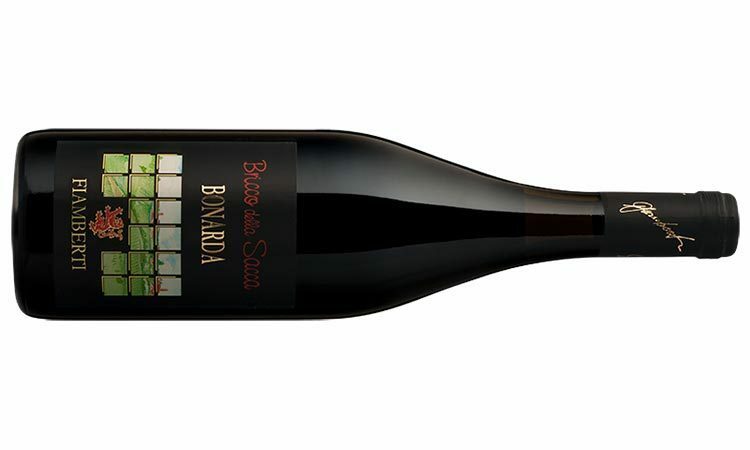 Regardless, Fiamberti Bonarda dell’Oltrepò Pavese Bricco della Sacca 2012 is a fascinating wine on every level. On the nose it comes across as pure old world, with savory, earthy notes, yet on the palate it’s fruity, almost jammy, with a bright freshness accentuated by a touch of effervescence. Though commonly served with first courses, especially salumi, I went rogue and paired it with chili. That’s right, one of the most difficult wine pairings known to man. Incredibly, perhaps – or knowingly, due to my personal pairing, uh, genius – this wine was an excellent choice for the complex and spicy flavors, as the slight sweetness and refreshing bubbles helped clean my palate after each bite. Here’s to Italy’s red sparklers and the Peculiar Red Foam! Cheers to another round of red sparklers from Italy! We must know more about the peculiar red foam! And more research on how it pairs with chili! that does sound like an interesting wine. I too stumbled across a similar wine going well with spicy food–a Lambrusco that would up pairing well with Indian food.